Some say "loft scale", others "petite" or "apartment scale" furniture, Southern Motion says "looks small, sits large". The Knock Out has impeccable styling flexible enough to be used in the most formal of living rooms or even the most casual of man caves. Note the subtly curved bottom of the arms and the fact that this shaping continues all the way down the length of the arms...unusual for motion furniture. 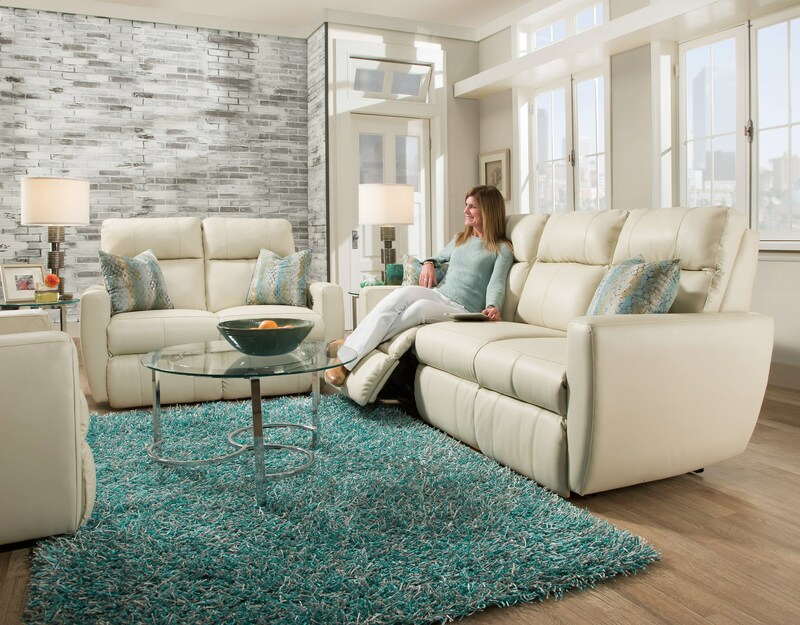 This "special order" reclining loveseat is available in multiple colors and fabric options. Pricing varies based on fabric group.